John Dunnigan, photo by Scott Lapham. John Dunnigan is a designer, maker, and educator. A native of Providence, Dunnigan is a graduate of the University of Rhode Island, with an MFA in Furniture Design from the Rhode Island School of Design. His work involves a range of contexts, materials, and processes, but it is driven by a consistent interest in things as an expression of the interdependent relationships among culture, technology, and identity. 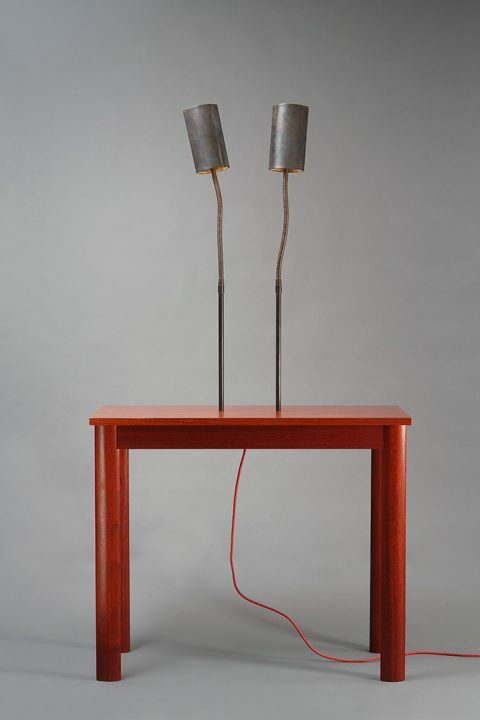 In his more recent work, he is motivated by the pursuit of what he calls “Practical Solutions to Oblique Problems.” Dunnigan’s furniture has been shown in over one hundred exhibitions, including ten solo exhibitions, and is included in collections such as the Museum of Fine Arts, Boston and the National Museum of American Art. 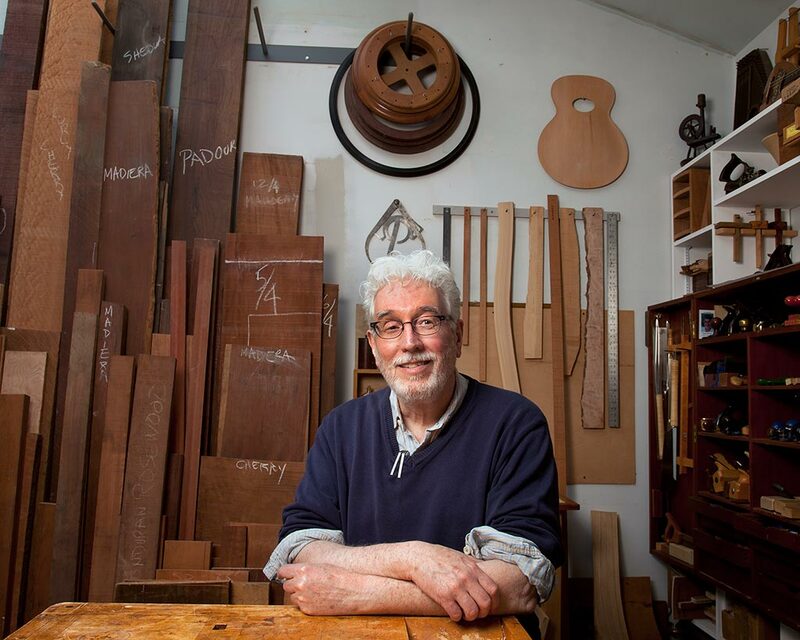 He is a partner in DEZCO furniture design llc, a company dedicated to sustainable practices in design for mass production. Dunnigan is a professor and Chair of the Department of Furniture Design at RISD. Reclaimed Padouk, brass, 72 x 38 x 14 in.